The WUSD recruits and selects the most exceptional employees . We strive to recruit and select the best administrators, teachers and support staff to meet the needs of our wonderful students. The WUSD employees receive a generous benefits package and a competitive salary schedule, making our total compensation very desirable. Our affordable employee benefits include major medical insurance options as well as vision and dental plans. Employees participate in retirement plans through STRS or CalPERS, and many opt for participation in 403B and Section 125 provisions. The WUSD has created a wonderful working environment which values the unique contributions of each employee. Our schools are filled with parent/guardian volunteers, eager students and talented teachers and staff. The cohesive administrative team promotes site-based decisions which help build a team spirit for students, parents/guardians and staff. Strong relationships between union and district leaders encourage win-win solutions to problems which might arise. 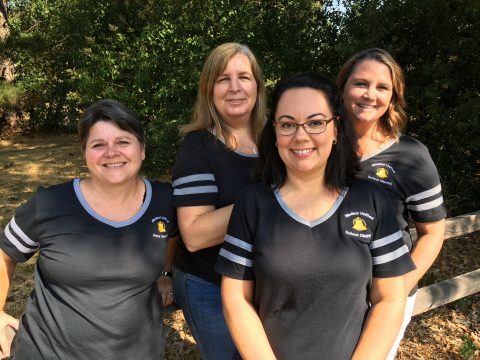 The Windsor Unified School District supports our new staff to ensure their success working with our students. We are very proud of our high retention rate. Teachers who are good enough to secure a position in Windsor rarely leave the district. Windsor has outstanding schools. Recent recognition for our schools include: two Distinguished School Awards, a Golden Bell Award, and a CDE Demonstration Site recognition. Windsor High School earned the highest WASC accreditation term available-a full 6-year term without a revisit. Students’ learning outcomes are impressive and we have earned the respect and support of the local parent community. The Director of Human Resources is directly responsible to the Superintendent of Schools for the efficient and effective operation of a high quality Human Resources Department, which is responsible for all aspects of employment (pre/existing/post), employee benefits, workers compensation and legal compliance of all employment-related policies and procedures (including applicable Board Policies and local/state/federal laws and codes). This includes leadership and administration of Human Resources practices, including, but not limited to recruitment, employment, staffing, employee benefits, employee wellness, salary schedule maintenance, workers compensation, employer/employee relations, negotiation/implementation of employer/employee contracts, employee performance evaluations, employee discipline, complaints, personnel records maintenance, safety, employer/employee communications (including handbooks, newsletters, and regular correspondence) and legal compliance with all local, state and federal requirements for classified and certificated personnel.